When dealing with recovery from any kind of addiction, there is a process that must be followed to make sure the patient is taken care of but at the same time forced to move ahead in order to quit the unhealthy habits that lead him to recovery in the first place. One of the hardest parts of rehab and one of the main reasons why a lot of people won’t sign up at drug detox centers is because they are afraid of the detox process. There is a lot of uncertainty and even fear around this part of recovery, but it is one of the most important parts of any recovery program. Meditation. It is well known that practiced breathing can help a lot not only through detox but through any complicated processes. Meditating while being on detox can help your mind focus on healthier aspects of yourself. Remember detox is hard not only on the body but on the mind as well. Through meditation, you will be able to help your mind relax, stop thinking about the drug, and find inner peace through respiration and controlled thoughts. Exercise. Whether you were a sports enthusiast before struggling with the addiction or not, everyone who has gone through anxiety periods can understand how much exercising your body can help your mental state. Through exercise (maybe even after meditation, after you’ve calmed your mind), you can use up any excess energy and put it towards beneficial use, helping your body liberate itself from the stress of detox. Art. A lot of people find it useful to focus their feelings and emotions on art. Whether it’s painting, dancing, singing or playing an instrument, you might find in art an outlet that will let you relax while keeping yourself safe and sound. Talking & Writing. This might seem silly at first, but expressing what you are feeling, whether by talking to a therapist or personnel or writing it down can help your mind get rid of invasive and unhealthy thoughts, leaving space for more healthy things. Writing can be especially helpful because it can remain private, so you can feel absolutely free to express what goes on in your mind. 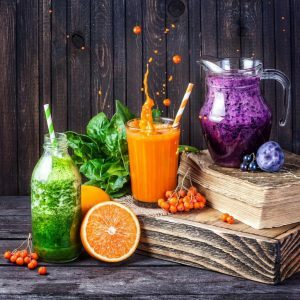 These are only a few methods that might help detox just a little bit easier, however, each person is different, and there are a number of different methods and options for all kinds of people out there. Detox is only the first step, so you must be fully committed to sign up for a program and get through it all so that you can go back to having a healthy life. Having an addiction is not the end of the world. If you set your mind to it, you can recover and go back to the life you had or an even better lifestyle than before, so don’t give up, make sure you have the right mindset and get to work on recovering who you are and finding the strength within yourself. Check out His House, a treatment center where you will be able to take those first steps with the help of professionals in the field.